Types of Art: Shona are best known for their beautifully adorned wooden headrests. Most of the art associated with Shona is either personal or utilitarian. Although they produce no figurative sculpture, they do have a rich tradition of metalworking and woodcarving. History: The archaeological ruins known as "Great Zimbabwe" have been radiocarbon dated to approximately 600 A.D. It is believed that the ancestors of modern day Shona built Great Zimbabwe and hundreds of other stone walled sites in Zimbabwe. It was not until the late 19th century that the peoples speaking several mutually intelligible languages were united under the Shona name. There are five main language clusters: Korekore, Zeseru, Manyika, Ndau, and Karanga. The last of these groups was largely absorbed by the Ndebele when they moved into western Zimbabwe in the 1830s. Shona are linguistically related to the central Bantu and most likely moved into present day Zimbabwe during the great Bantu expansion. Economy: Shona are primarily agricultural. Their main crop is maize, but they also grow millet, sorghum, rice, beans, manioc, peanuts, pumpkins, and sweet potatoes. They raise some cattle, sheep, and chickens. Women may supplement their income by selling pottery and handwoven baskets that serve primarily as utilitarian objects. Men may work as blacksmiths or carvers by commission. Although cows are milked, they are most often used for bride price. Cows are considered taboo for women, so men must do all of the milking and herding. Men also do some hunting and fishing, but neither contribute greatly to the food supply. Men and women both participate in farming. Political Systems: Traditionally, Shona peoples lived in dispersed settlements, usually consisting of one or more elder men and their extended families. Most decisions were made within the family, although organized political states were recognized as a source of centralized power. They were headed by a paramount chief who inherited his position and power in the divine manner of a king. He usually resided in a centralized location and was accompanied by his court who advised him about most important decisions. The head chief often received substantial payment in the form of tributes from his constituency. Religion: Shona peoples believe in two types of spirits. Shave spirits are most often considered to be outside or wandering spirits, and vadzimu are ancestor spirits. 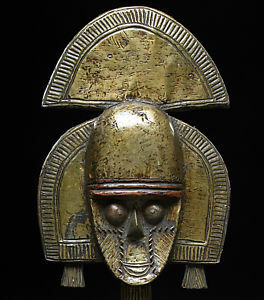 Shave spirits are associated with populations living outside of Shona territory and may be connected to neighboring peoples, Europeans, or even animals. These spirits may be either malevolent or benevolent. Bad spirits are associated with witchcraft, while good spirits may inspire individual talents associated with healing, music, or artistic ability. Vadzimu represent all that is ideal and moral about a Shona way of life and are usually associated with recent ancestors or with more remote culture heroes whose exact genealogy has been forgotten. They serve to protect society, but may withdraw this protection if Shona moral ideals are not respected.